This will be a different type of race report - since this was not an ideal style of race for me. After a stress fracture in November, I had to drop the full marathon and create a new type of goal - just enjoy the race. This was a hard goal for me. I love to compete and was really looking forward to this race. In my mind I had to battle the lose of what I wanted and come to grips with what I was given. So instead of talking about the miles of the race and the splits I will share some pictures along the course that I took and talk on a more emotional level. The race course was beautiful. 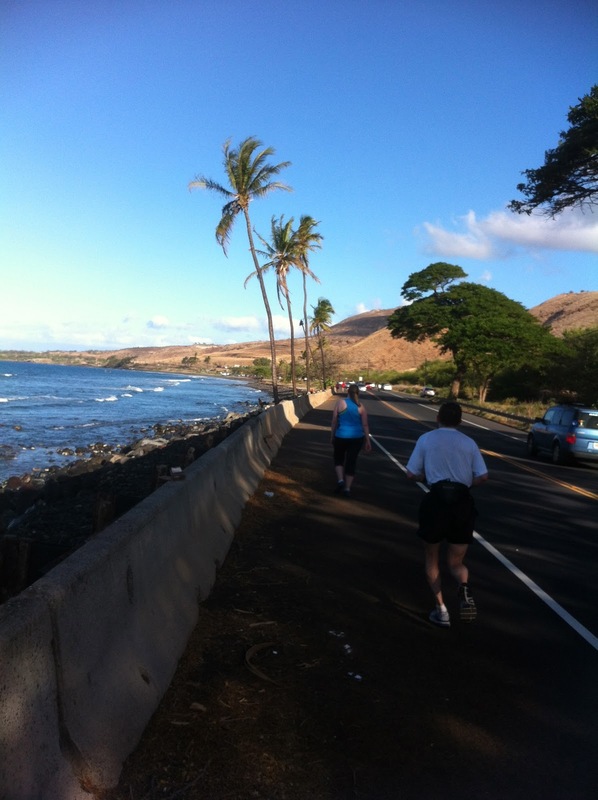 The course ran along a costal highway and about 80% of the course ran on the oceanfront. We started in a residential area with some really nice houses and views of the ocean through peoples back yards. A quick turn and up hill put us on the course for the race. 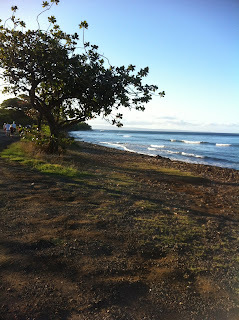 Like I said the route was oceanfront so we were greeted with views of waves and beach most of the way. 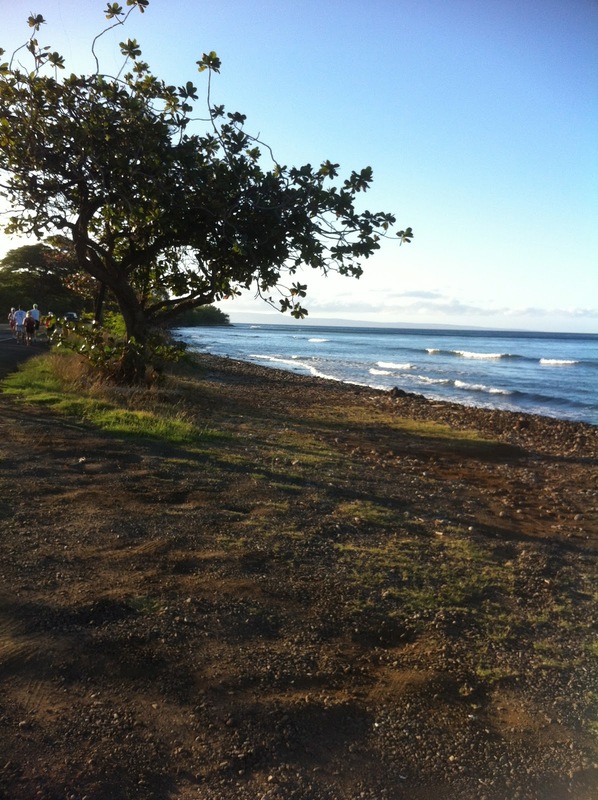 We passed several beaches, some rocky shores, and plenty of views. 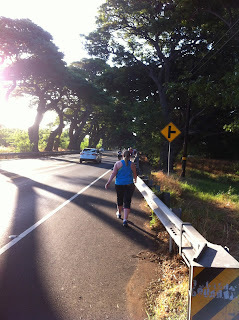 The only bad part was that we were running on the shoulder of the highway the entire race so we were crowded and I was always nervous about the traffic at my back. Unfortunately I didn't see any whales during the race like I wanted, but I did see this guy sunning himself on the beach. (it's a sea lion). The weather was humid and sunny (in comparison to the winter weather we came from in Oklahoma) so a mile or so section in a tree canopy was much appreciated. That about sums up the views of the course (it was an out and back) so here are some pictures of the scenery to enjoy. Who wouldn't like to run with this beside them? So emotionally this race was tough. Like I said it was supposed to be my first marathon so the days leading up to the race as we drove over the full course, all I could think was "I wish I got to run this route". The view was gorgeous and mentally I had always prepared for it. During the race I had to face watching all the marathoners running toward us before we hit the turn around point. This is when I really lost it. For the first time I broke down and cried during a race - it was so overwhelming how much it affected me. I hated myself so much for not taking care of my injury early enough and being able to get back for this race. 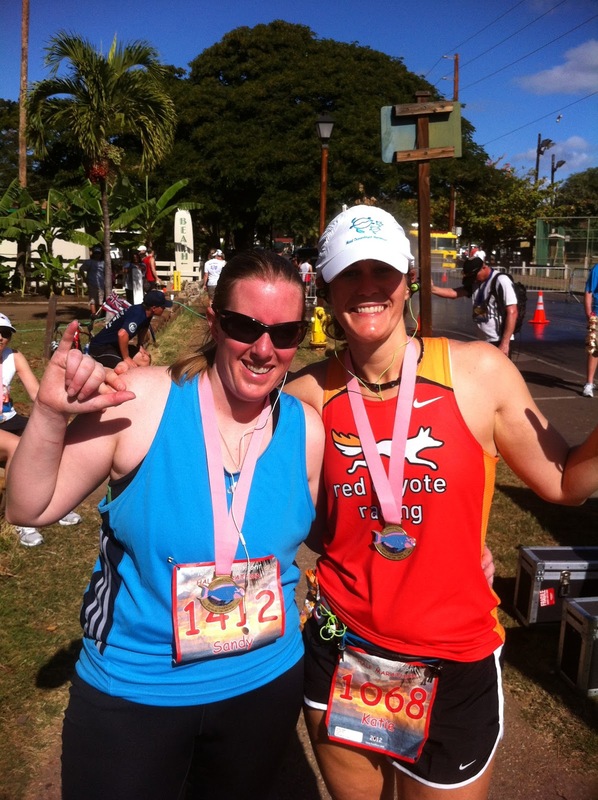 Thankfully my race buddy was able to keep me grounded and promise me another trip to do the marathon. Around mile 8 I finally pulled it together and was able to concentrate on the goal of the race - helping Sandy finish the race since she graciously said she would do it with me. Time wasn't an issue - I'm not even going to post it. It was a PR for the longest time, but I took several good things from it. I was able to put 13 miles on my feet and work on my calluses that had gone away after several weeks off, and because of the amount of time we were out - it really gave me a taste of what the amount of time on my feet for a marathon would be like - without the stress on my joints. I think that will pay off for me greatly when I go after that marathon later. 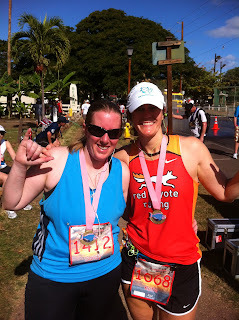 In the end we finished and got our medals - and a cool down in the ocean!